A source for news in the Cohen community. The words of Leonard Cohen are from articles, interviews and from his poems, music and novels. Articles, interviews and reviews of Cohen's work can be found on Speaking Cohen. Search the text of Cohen's music and poems at the Leonard Cohen Concordance. Chat with other fans on The Leonard Cohen Forum. Latest information on The World Tour 2010 on the LC Forum. 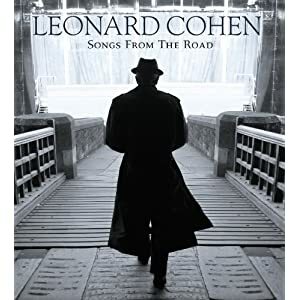 Speaking Cohen maintains a Channel on YouTube and attempts to organize the many wonderful youtubes uploaded by folks who love Leonard. Thanks to all of you.